Many area hospitals offer services to patients regardless of their ability to pay. However, this noble policy is sometimes at odds with the purpose of those that are responsible for collecting what is owed. 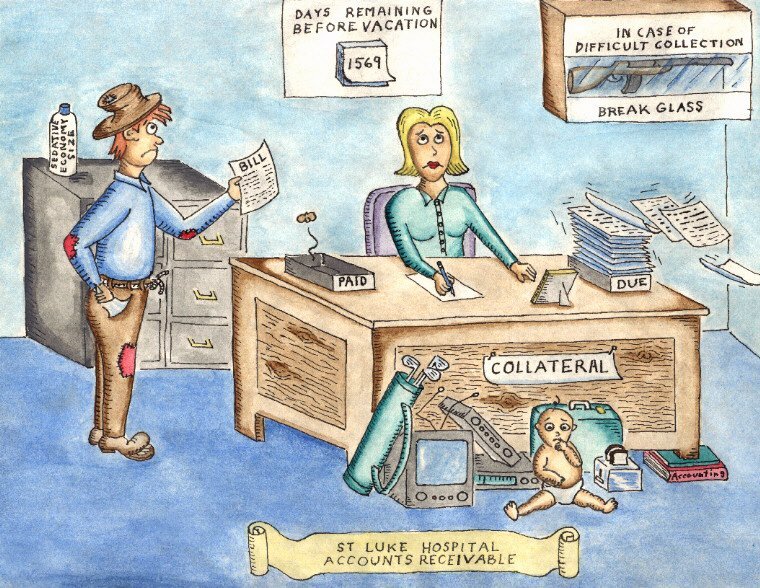 In this cartoon, Larry Ward pays tribute to those tireless workers that must wade through the mountains of paperwork required to make this policy possible.